The Ebon Crypt was once used by the noble Gautiers of Camlorn as their family mausoleum, until Thrandyke the Repugnant adopted it as a laboratory for his vile necromantic experiments. 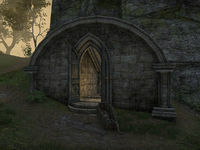 The Ebon Crypt is a tomb west of Cath Bedraud in Glenumbra containing Bloodthorn cultists. 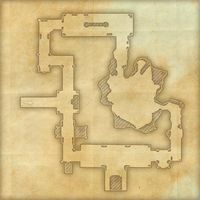 Reading the eponymous letter will add Ebon Crypt to your map. This page was last modified on 4 March 2019, at 19:24.